After the performance of NA RAINDEE HAI by ARIEB AZHAR, the sufic legacy is carried forth in the second track of the episode by none other than the iconic Abida Parveen with a kalam by Hazrat Baidam Shah Warsi titled 'Ramooz-e-Ishq (also popularly titled ‘Mein Hun Mashhoor’)'. Translated into Urdu, the performance has the both the Eastern and Western house band members involved yet very subtly. 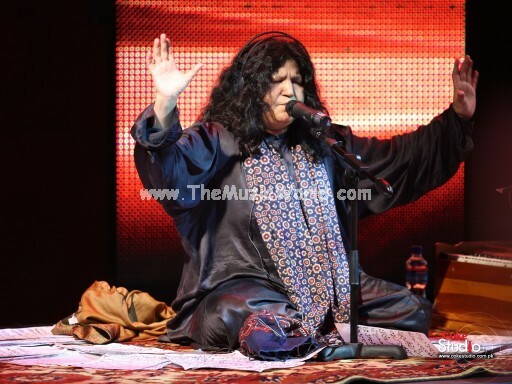 To download the song RAMOOZ-e-ISHQ by ABIDA PARVEEN ( COKE STUDIO 3 ), click on the links given below. To listen the song, click on the blue PLAY button. jo ALLAH ke ASHIK hote hai wahi mashhoor hote hai.